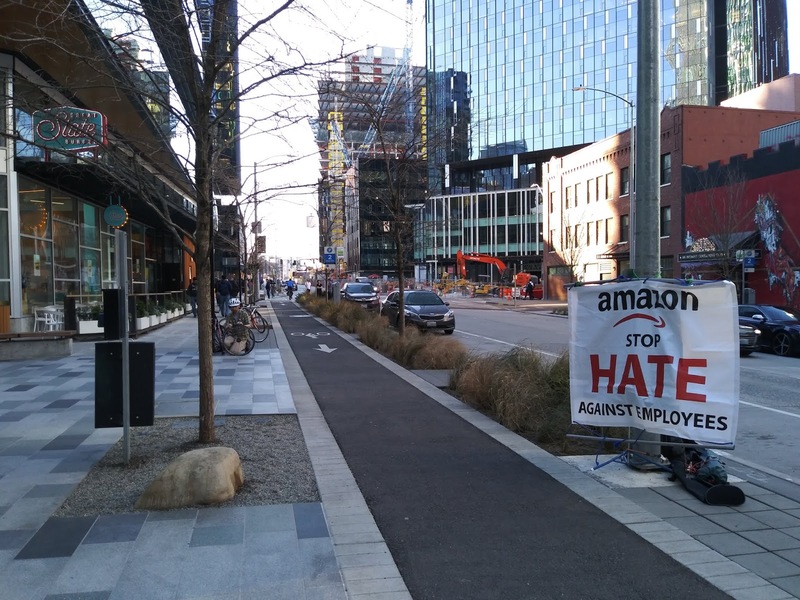 This is a call to organize and unionize Amazon employees to make working conditions better: New day - new protest! New protest - new banner! I am sorry, I can't change the banner every day. It costs $100. Even with software engineer salary I can't afford that. Paying attention to that I am on long term leave now without income. Who said protest is painful? Protest is kind of fun! What is really painful - to work for Amazon. Why spending time on editing videos if we can just press pause-record multiple times on the phone? So you are still getting amazon salary and chilling out? Nice!